Looking for starry skies, peace and quiet, and amazing photo ops? Backcountry camping is your ticket to inner peace. 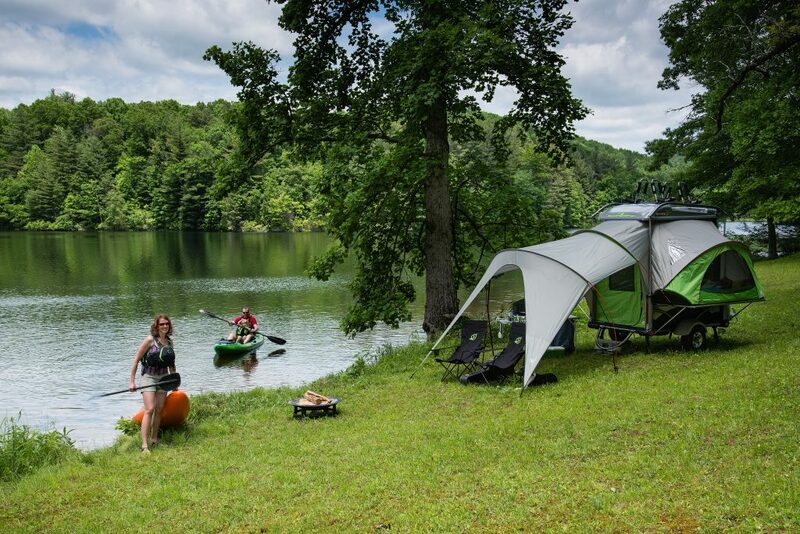 You won’t have to worry about loud neighbors, nosy pets, or crowded campsites. It’s something all nature enthusiasts should experience. But unfortunately, you can’t drive your car into the backcountry. Which means it’s time to pack up your gear and backpack to that secluded campsite. The way you pack your backpack makes a big difference in how comfortable your hike is. 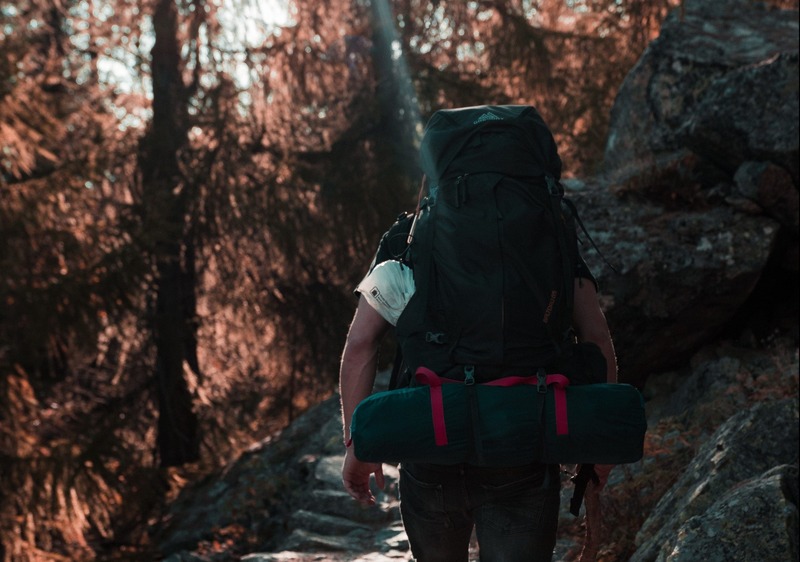 In this article, we’ll give you the basics for how to pack a camping backpack the right way. Picking out your backpack is the first step in creating an exciting backpacking experience. For hiking and camping, make sure your pack has enough capacity to hold all the gear you need. 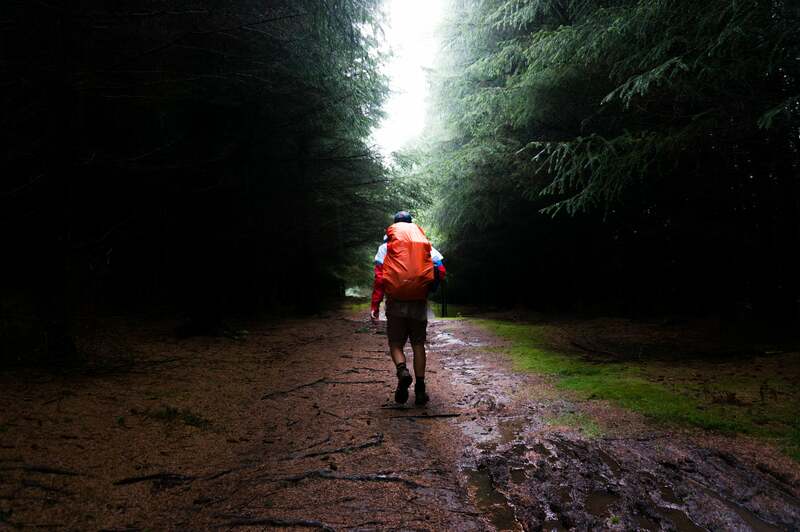 The longer you plan to hike, the more space you’ll need to carry food and clothing. Also, if you’re planning to hike in colder temperatures, you’ll need more room for layers and cold-weather gear. 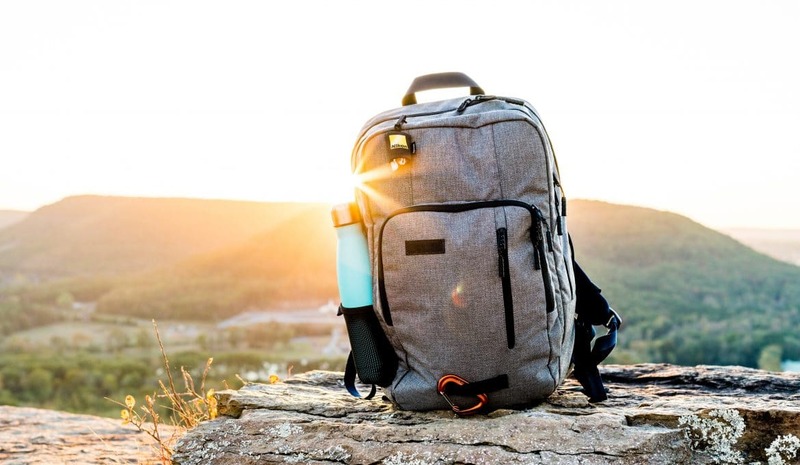 A light backpack, suitable for day hikes and for overnight stays, usually has between 30-50 liters of space. If you’re planning to camp for several days, you’re better off with a pack that has between 50-70 liters of space. And for longer camping trips or trips in cold weather, you’ll want a pack with over 70 liters of space. The best way to choose your backpack is to visit a store location and try on a bunch of different packs. 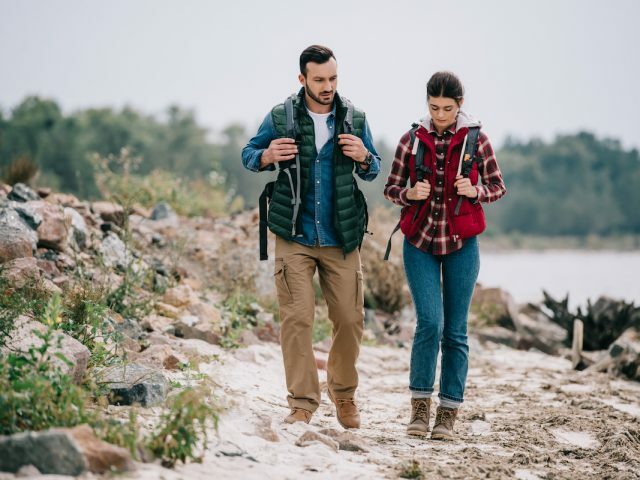 The experts at Gander can help you find a pack that fits you. 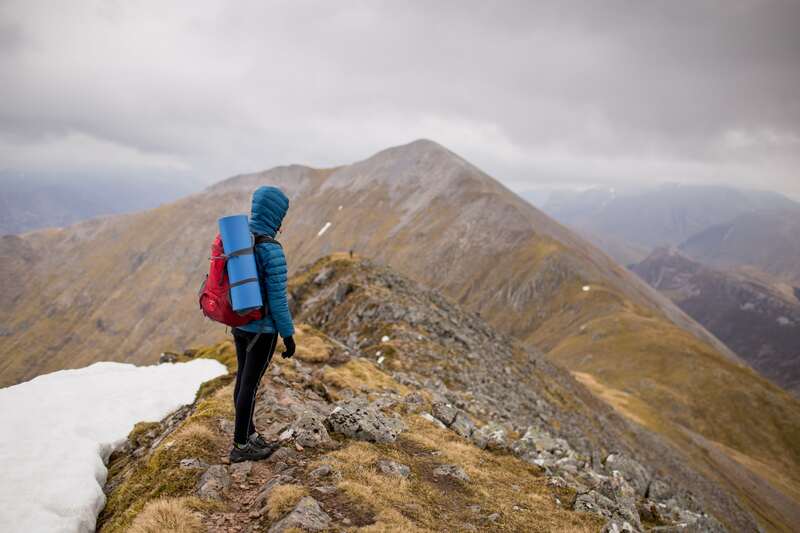 Once you’ve picked out a pack, take it out on day hikes, packed with your gear. You’ll get a better feel of how it handles. You never want to take a new pack out on a long camping trip without testing it first. Every camping trip is different so your gear will change depending on the trip. If you aren’t in bear country, you won’t need a bear-proof container or bear spray. And if you’re camping in warmer temperatures, you won’t need as many layers of clothes. Distributing the weight in your backpack is the key to a more comfortable hike. You want your heaviest gear to be centered inside the pack and right up against your back. Doing so keeps most of the weight close to your body and over your hips, where it belongs. Start by packing light items into the bottom of the pack. This will most likely be your sleeping bag. Compress it as best you can and fit it down into the bottom of the bag so that it’s sitting next to your lower back. This gives your lower back a nice cushion as you walk. If you have a compressible sleep pad, put this in the bottom too. If your pad is bigger, you can roll it up and strap it to the outside of the pack. Next, pack heavier items into the back of the pack above the sleeping gear. Water is the heaviest thing you’ll carry. Some backpacks come with a built-in pouch for a water reservoir. The reservoir should be right next to your back in the middle of the backpack. Other heavy items include your cooking gear, food, and bear-proof storage container. Clothing can be stuffed around these items to fill in empty gaps. 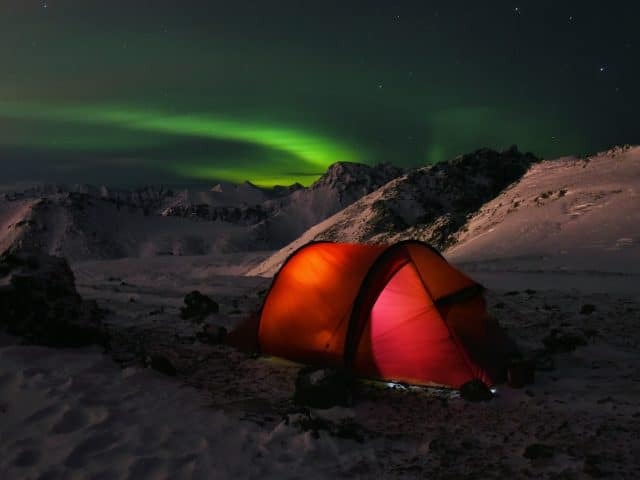 Pack your tent and poles on the top so you can reach it easily if the weather turns against you. 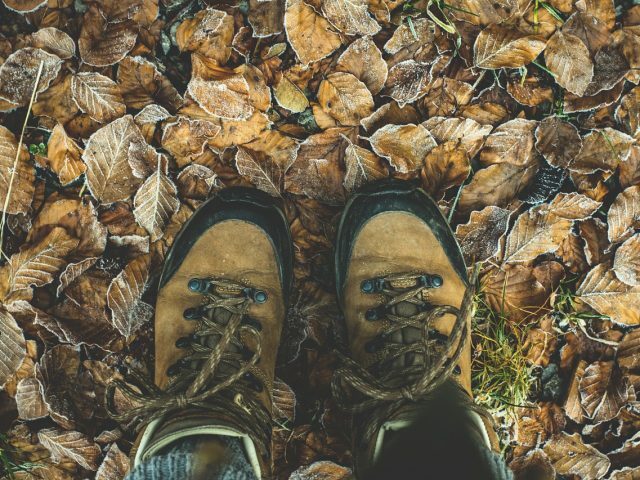 It’s also a good idea to put your water shoes on the top, or in one of the front pockets, in case you have to make a water crossing during your hike. All hiking backpacks come with outer pockets and other storage solutions. Put your water bottle in a side pocket so you can reach it while you’re hiking. In your second bottle pocket, put your bear spray so that you can grab it quickly. Also, pack some snacks in some of the outer pockets so you can get to them easier. Many packs have pockets on the hip belts. You can put your cell phone and map in these because they’re the easiest to get to. Also, most packs have straps on the back and sides where you can attach items with carabiners. Use these to hold your hiking poles or your flashlight. Anything that’s awkward in the backpack can be placed here. This includes your sleeping pad which can go on either on the side or the bottom of your pack. Start by weeding out what you don’t absolutely need. This may sound obvious, but when you’re out on the trail, every oz of weight matters. 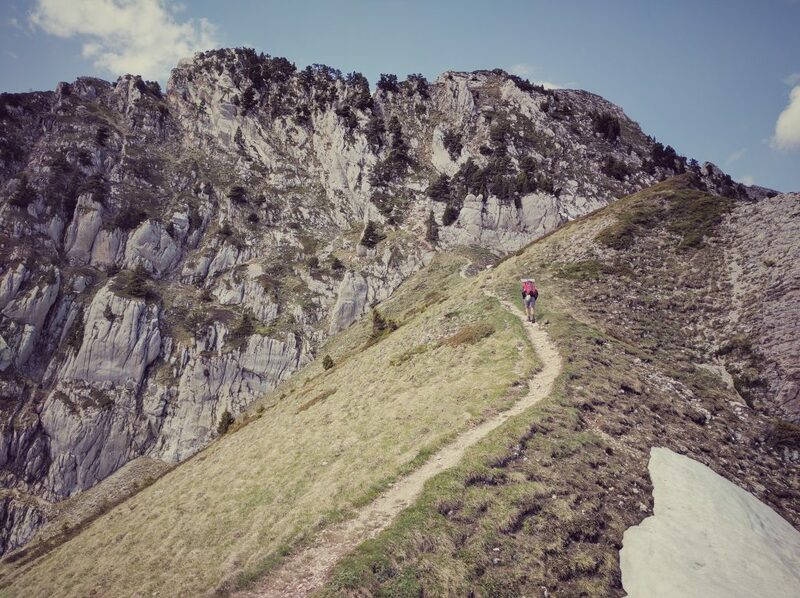 Especially if you’ll be climbing rugged terrain or steep slopes. Lay out everything you plan to take. Then give every item a look and ask yourself if you really need it. You’d be surprised how much weight you can pull out just by thinking things through. Once your gear is packed, use the compression straps on your backpack to compress the gear. The more compressed your pack, the lighter it feels. And the less awkward it will be to carry. Consider investing in dry bags. Pack important stuff like spare clothes and electronics in these to keep them dry if you encounter rain. Mesh sacks are a great way to organize the items in your pack. You can see through them so you know where everything is. And it makes it easier to pull something out of your pack without having to unpack the whole thing. 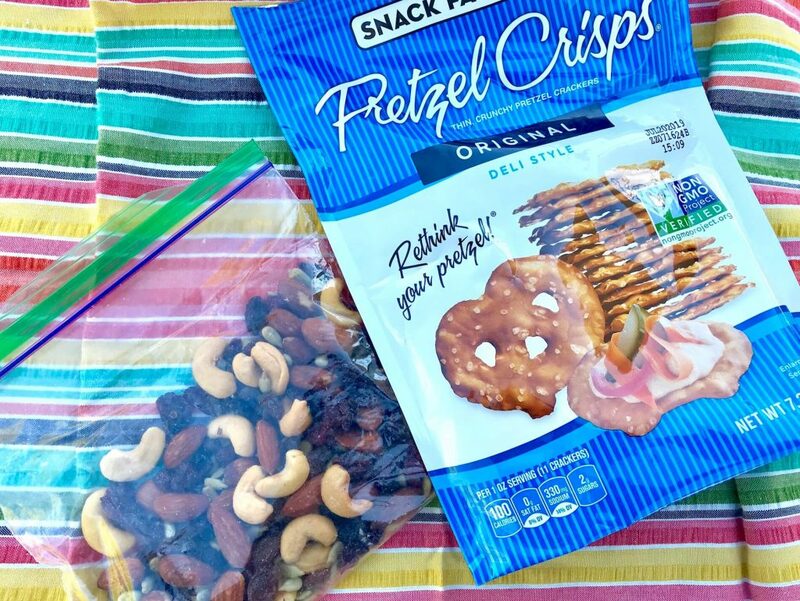 Food needs to be light and pre-packaged to keep the weight in your pack down. Take your food out of its package and put it into plastic ziplock bags. This keeps the food from leaking into your pack and saves on space. Use every bit of space in your pack by packing small items into random spaces. Wrap up anything that’s pointy or awkward with clothes to keep it from poking you while you hike. Do you have any backpacking tips? Share them in the comments. We love to hear your feedback!